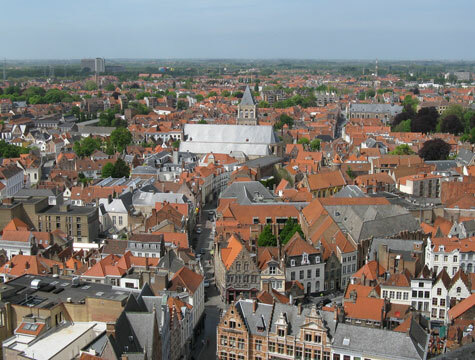 World-famous landmarks in Bruges include the Brugge Town Hall, Burg Square, Belfort Tower and Markt Square. Visitors can enjoy Belgium beer and chocolate in the old town or take a scenic boat tour down the canals. Top museums in Bruges (Brugge) include the Memling Museum, Argentshuis Museum and the Hospital Museum. Excellent hotels, guest houses and B&Bs can be found in central Bruges, near the airport and close to the Ostende ferry terminal. Bruges can be reached by train from Brussels, Paris or Amsterdam. The Brussels Airport and "chunnel" to England are nearby.